Loma Linda University students are invited to join Students for International Mission Service (SIMS) for an evening worship service, international food, fun and sharing. 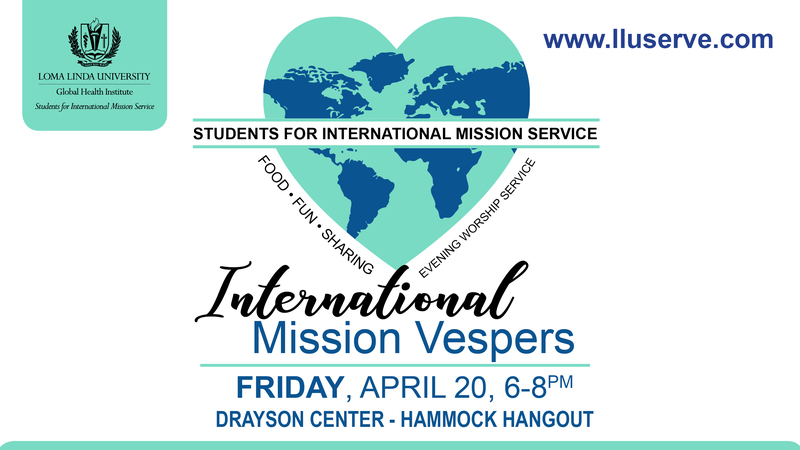 This year's International Mission Vespers will be held on Friday, April 20, 2018, from 6-8pm at the Drayson Center - Hammock Hangout. Co-hosted by the Global Health Institute at Loma Linda University Health.